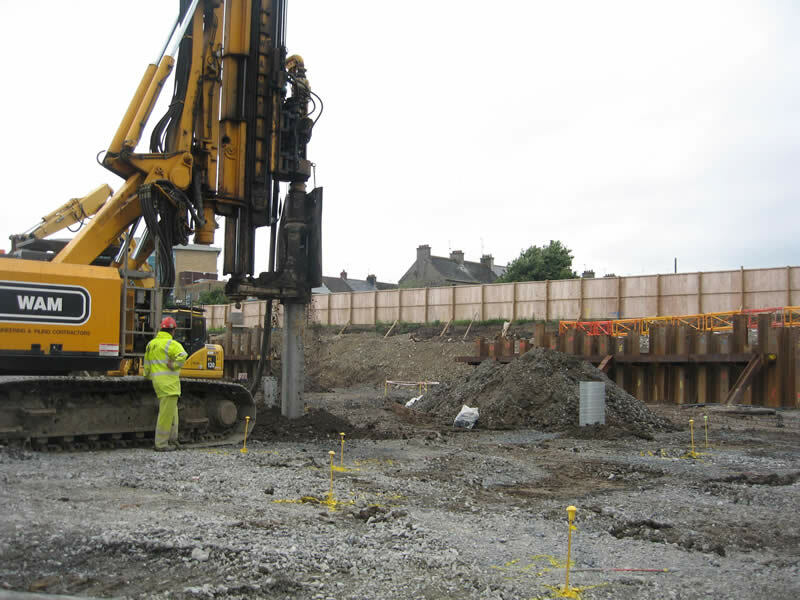 DAWSON-WAM Ltd were awarded the sub-contract piling and enabling works for a new adult daycare facility in Portadown, County Armagh. The works involved the diversion of approximately 200m of 1200mm diameter sewer by means of open cut ranging from 5-8m in depth. 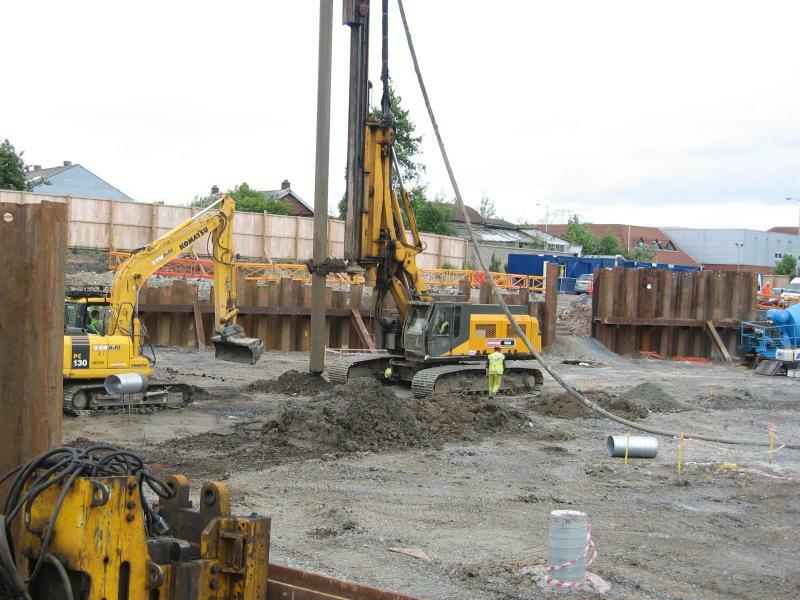 The installation of 150 linear meters of propped temporary steel sheet piles together with the bulk excavation of approximately 25,000m3 to enable the construction of an underground carpark. 350 No. 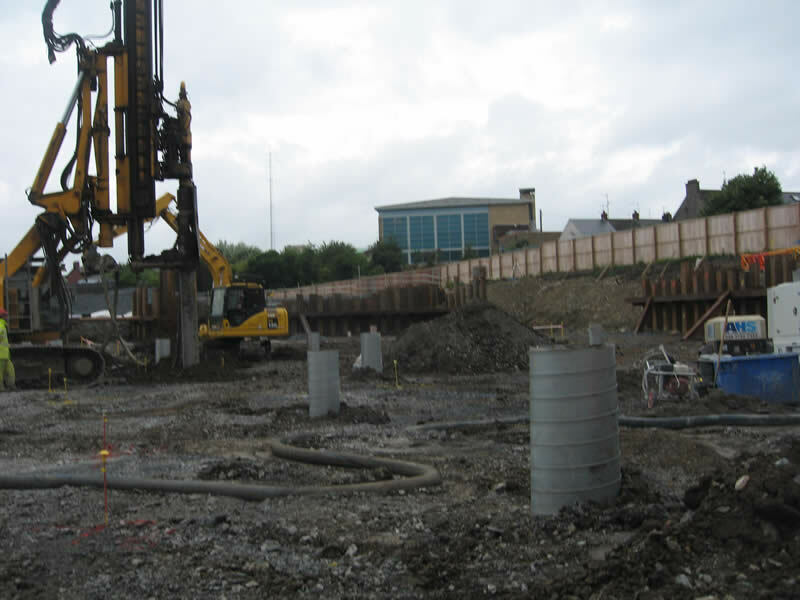 450mm diameter cast in-situ augered piles were installed at depths of up to 15m together with pile caps and ground beams to form the foundations for the new facility. The works also included the construction of a new car park using some 36,000m2 of geogrid and 20,000m3 of stone fill. Ancillary works included but were not limited to the construction of 2No. 3m diameter 8m deep pumping stations together with approximately 1.5km of drainage and pumping mains. The first stage of the scheme was completed on time, within budget and to the required quality.